[S1556] Image of the 1881 for Bracebridge, Lincolnshire: RG11 Piece 3238 Folio 113 Page 32. [S3376] Image of the 1871 Census for Wind Mill Inn, Warmfield, Yorkshire: RG10 Piece 4616 Folio 54 Page 33. [S2] GRO Indexes to Births. "1869/Q2 PASK, Edith Wakefield 9c 7." [S3377] Transcript of the marriage of John Henry Applewhite and Edith Pask, 17 July 1889. Kindly provided by Susan Atkins - GOONS Marriage Challenge. [S3] GRO Indexes to Marriages. "1889/Q3 PASK, Edith Lincoln 7a 846." [S3] GRO Indexes to Marriages. "1889/Q3 APPLEWHITE, John Henry Lincoln 7a 846." [S3378] Image of the 1891 Census for 36, William Street, Newark Upon Trent, Nottinghamshire: RG12 Piece 2713 Folio 85 Page 14. [S2] GRO Indexes to Births. "1876/Q3 PASK, Clara Wakefield 9c 21." [S245] 1881 Census for Birmingham, Warwickshire. Full details upon request: FHL Film 1341715 PRO Ref RG11 Piece 2993 Folio 68 Page 10. [S5548] Image of the 1881 Census : RG11 Piece 2993 Folio 68 Page 10. [S4] GRO Indexes to Deaths. "1887/Q3 PASK, John Birmingham 6d 135 age 42." [S2] GRO Indexes to Births. "1871/Q4 Bury St. E. 4a 474." [S158] Online Index of the 1901 Census for Bishop Stortford, Herefordshire. Full details upon request. [S720] Transcript of the 1881 Census for Bury St. Edmunds, Suffolk: RG11 Piece 1843 Folio 89 Page 19. [S123] E-mail from Maria Karg to Stuart & Teresa Pask dated 5 March 2004. [S3] GRO Indexes to Marriages. "1896/Q4 PASK, Arthur Alfred Aylesbury 3a 1257." [S3] GRO Indexes to Marriages. "1896/Q4 ROSE, Lucy Aylesbury 3a 1257." [S3263] Image of the 1901 Census for New Town Road, Bishop Stortford, Hertfordshire: RG13 Piece 1289 Folio 63 Page 14. [S3244] Scanned photograph of Arthur with his young daughter Elise and father Thomas Pask. Kindly provided by John Anthony Pask. [S4977] Image of the 1911 Census for 4 Market Square, Bishop's Stortford, Hertfordshire: RG14 Piece 7497 Schedule 7. [S4] GRO Indexes to Deaths. "1950/Q2 PASK, Arthur A. Dunmow 4a 524 age 78." [S330] Transcript of the 1901 . "PRO Ref RG13 Piece 1289 Folio 63 Page 14." [S4] GRO Indexes to Deaths. "1957/Q3 PASK, Lucy Dunmow 4a 490 age 85." [S3] GRO Indexes to Marriages. "1924/Q3 PASK, Elsie E. THORNE B Stortford 3a 1867." [S2] GRO Indexes to Births. "1899/Q3 PASK, Elise Eva B. Stortford 3a 604." [S4] GRO Indexes to Deaths. "Elsie Eva Thorne Birth Date: 30 Jun 1899 Death Registration Month/Year: May 1984 Age at death (estimated): 84 Registration district: Uttlesford Inferred County: Essex Volume: 9 Page: 3207." [S3] GRO Indexes to Marriages. "1924/Q3 THORNE, George H. PASK B Stortford." [S246] 1881 Census for Bow, London. Full details upon request: FHL Film 1341109 PRO Ref RG11 Piece 0493 Folio 73 Page 23. Research Note: Although extensively searched, Amos' birth was not found in civil registration. [S225] 1881 Census for Llanvihangel Llantarnam, Monmouthshire. Full details upon request: FHL Film 1342268 PRO Ref RG11 Piece 5271 Folio 7 Page 8. [S384] Website FamilySearch Internet (http://www.familysearch.org) : Batch C023681. [S3008] Three Generation Family Group Sheet from Pat Blake née Morgan compiled by Pat Blake née Morgan, dated 24 January 2008. [S2992] E-mail from Alison Highet to Stuart & Teresa Pask dated 22 January 2008. Data provider: Gwent Family History Society. [S1420] Image of the 1871 Census for Newchurch, Monmouthshire: RG10 Piece 5293 Folio 31 Page 16. [S1419] Image of the 1891 Census for Kilgwrrwg, Monmouthshire: RG12 Piece 4335 Folio 155 Page 11. [S3] GRO Indexes to Marriages. "1894/Q2 PASK, Amos Newport, M. 11a 309." [S3] GRO Indexes to Marriages. "1894/Q2 EVANS, Ann Newport, M. 11a 309." [S2561] E-mail from Amanda Haslam née Jenkins to Stuart & Teresa Pask dated 1 May 2007. [S4999] Website UK Government Probate Search Service: PASK Henry of "Kilgwrrwg-arms" Kilgwrrwg Monmouthshire beer-retailer died 13 December 1897 Administration Llandaff 28 January to Amos Pask miner Effects £49 16s 7d. [S1847] Image of the 1901 Census for Kilgwrrwg, Monmouthshire: RG13 Piece 4916 Folio 155 Page 11. [S3134] Scanned photograph of Amos Pask. Kindly provided by Patricia Blake née Morgan. CAPTION: Amos Pask c1934. [S4] GRO Indexes to Deaths. "1937/Q1 PASK, Amos Caerleon 11a 320 age 75." [S2] GRO Indexes to Births. "GRO Online Index: 1904/Q3 PASK, Myfanwy EVANS Chepstow 11a 6." [S1558] Image of the 1881 Census Transcript for Brickyard House, Bracebridge, Lincolnshire: RG11 Piece 3238 Folio 88 Page 11. [S2175] Image of the 1881 Census for Depden, Suffolk: RG11 Piece 1837 Folio 65 Page 10. [S2176] Image of the 1871 Census for The Grove, Chevington, Suffolk: RG10 Piece 1724 Folio 152 Page 8. [S1438] Image of the 1851 Census for Chevington, Suffolk: HO107 Piece 1791 Folio 208 Page 9. [S2174] Transcript of the marriage of James Pask and Jane Sumner Crack, 25 December 1866. Kindly provided by Sandra Stevens - GOONS Marriage Challenge. [S2202] Transcript of the marriage of Henry Paske and Martha Newman, 12 June 1858. Kindly provided by Sandra Stevens - GOONS Marriage Challenge. [S2276] Image of the 1881 Census for Desning Hall Cottages, Gazeley, Suffolk: RG11 Piece 1679 Folio 45 Page 24. [S3] GRO Indexes to Marriages. "1866/Q4 PASK, James Thingoe 4a 981." [S4] GRO Indexes to Deaths. "1888/Q2 PASK, James Thingoe 4a 344 age 58." [S27] Website National Burial Index (NBI) @ FindMyPast (www.findmypast.co.uk: ) 29 Jun 1888 James PASKE 58 Suffolk Chevington, All Saints. [S4] GRO Indexes to Deaths. "1890/Q4 PASK, Jane Thingoe 4a 445 age 54." [S27] Website National Burial Index (NBI) @ FindMyPast (www.findmypast.co.uk: ) 8 Nov 1890 Jane PASKE 54 Suffolk Chevington, All Saints. [S1286] Image of the 1861 Census for Chevington, Suffolk: RG9 Piece 1137 Folio 155 Page 19. [S27] Website National Burial Index (NBI) @ FindMyPast (www.findmypast.co.uk: ) 24 Sep 1885 Harriet PASK 75 Suffolk Chevington, All Saints. [S384] Website FamilySearch Internet (http://www.familysearch.org) : "England Marriages, 1538–1973 ," database, FamilySearch (https://familysearch.org/ark:/61903/1:1:N21S-2H3 : accessed 19 February 2016), John Paske and Harriet Newman, 28 Feb 1831; citing Chevington, Suffolk, England, reference ; FHL microfilm 989,588. 1831 Chevington, Suffolk: PASKE, John = NEWMAN, Harriet. 28 Feb 1831 Chevington Suffolk: PASKE, John = NEWMAN, Harriet (otp Depden). [S1287] Image of the 1841 Census for Chevington, Suffolk: HO107 Piece 1037 Book 6 Folio 20-20a from Archive CD Books. [S1436] Image of the 1851 Census for Chevington, Suffolk: HO107 Piece 1790 Folio 206 Page 4. [S4] GRO Indexes to Deaths. "1874/Q2 PASK, John Thingoe 4a 309 age 65." [S4] GRO Indexes to Deaths. "1885/Q3 PASK, Harriet Thingoe 4a 336 age 75." [S384] Website FamilySearch Internet (http://www.familysearch.org) : Batch No: C135675. [S2590] Copy death transcript of Charles Paske, died 11 February 1899. [S2218] Image of the 1881 Census for Depden, Suffolk: RG11 Piece 1837 Folio 53 Page 14. [S1439] Image of the 1851 for Clay Hall, Depden, Suffolk: HO107 Piece 1791 Folio 189 Page 12. [S1450] Image of the 1841 Census for Depden, Suffolk: HO107 Piece 1032 Book 10 Folio 5-6. [S3] GRO Indexes to Marriages. "1854/Q4 PASKE, Harriet Thingoe 4a 927." [S1751] Transcript of the marriage of William Eagle and Harriet Pask, 2 December 1854. Kindly provided by Sandra Stevens - GOONS Marriage Challenge. [S1752] Transcript of the marriage of Henry Paske and Amelia Cracknell, 4 August 1855. Kindly provided by Sandra Stevens - GOONS Marriage Challenge. [S1880] Image of the 1861 Census for Clay Hall, Depden, Suffolk: RG9 Piece 1137 Folio 138 Page 17. Indexed incorrectly under the name of PARK. [S1881] Image of the 1871 Census for Depden, Suffolk: RG10 Piece 1724 Folio 144 Page 22. [S1882] Image of the 1891 Census for Clay Hall Cottage, Depden, Suffolk: RG12 Piece 1444 Folio 124 Page 17. Indexed incorrectly under the name of PARK. [S1883] Image of the 1901 Census for Depden, Suffolk: RG13 Piece 1752 Folio 71 Page 7. [S2199] Transcript of the marriage of Alfred Challis and Sarah Ann Paske, 1 September 1879. Kindly provided by Sandra Stevens - GOONS Marriage Challenge. [S2201] Transcript of the marriage of Frederick Paske and Jane Boreham, 20 October 1877. Kindly provided by Sandra Stevens - GOONS Marriage Challenge. [S2200] Transcript of the marriage of Arthur Pask and Louisa Wells, 4 November 1886. Kindly provided by Sandra Stevens - GOONS Marriage Challenge. [S2] GRO Indexes to Births. "1859/Q4 PASK, George Thingoe 4a 416, or 1859/Q2 PASK, George Thingoe 4a 453, or 1858/Q2 PASK, George Thingoe 4a 419." [S2190] Image of the 1891 Census for Stowlangtoft, Suffolk: RG12 Piece 1454 Folio 90 Page 6. [S2189] Transcript of the marriage of George Pask and Ann Garwood, 2 June 1883. Kindly provided by Sandra Stevens - GOONS Marriage Challenge. [S2221] Image of the 1901 Census for Little Saxham, Suffolk: RG13 Piece 1752 Folio 124 Page 10. [S8] Website Commonwealth War Graves Commission (http://www.cwgc.org) : Serjeant ERNEST OLIVER PASK 205855, 1st Bn., Bedfordshire Regiment who died age 29 on 26 October 1917 Son of the late Arthur and Louisa Pask, of 26, Horringer Rd., Bury St. Edmund's; husband of Ethel Louise Pask (nee Miller) of 16, Lower Baxter St., Bury St. Edmunds. [S2] GRO Indexes to Births. "1861/Q2 PASK, Arthur Thingoe 4a 466." [S4] GRO Indexes to Deaths. 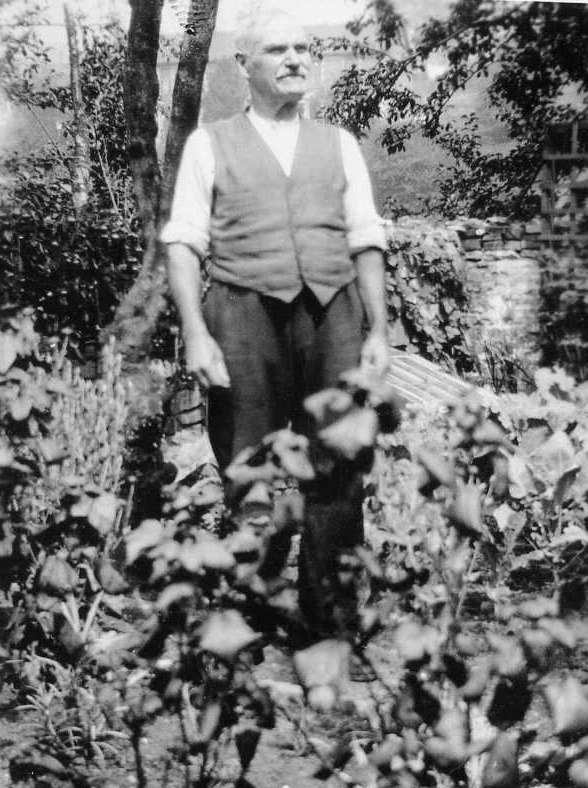 "1903/Q4 PASK, Arthur Bury St. E. 4a 490 age 42." [S4870] Image of the 1891 Census for RG12 Piece 1437 Folio 48 Page 6: RG12 Piece 1437 Folio 48 Page 6. [S4] GRO Indexes to Deaths. "1916/Q2 PASK, Louisa Bury St E 4a 963 age 54." [S4869] Image of the 1911 Census for 26 Horriinger Road, Bury St. Edmunds, Suffolk: RG14 Piece 11710619 Schedule 232. [S2] GRO Indexes to Births. "1863/Q4 Thingoe 434." [S3] GRO Indexes to Marriages. "1888/Q3 PASK, Albert Henry Sudbury 4a 787." [S4631] Transcript of the marriage of Albert Henry Pask and Alice Smith, 7 July 1888. Kindly provided by Sandra Stevens - GOONS Marriage Challenge. [S2] GRO Indexes to Births. "1870/Q1 PASK, Emma Thingoe 4a 514." [S4635] Transcript of the marriage of Frederick William Button and Emma Pask, 1 January 1906. Kindly provided by Sandra Stevens - GOONS Marriage Challenge. [S542] E-mail from Colleen Willis to Stuart & Teresa Pask dated 3 June 2007. [S1184] E-mail from Mary Rix to Stuart & Teresa Pask dated 4 October 2006. [S542] E-mail from Colleen Willis to Stuart & Teresa Pask dated 21 May 2007. 24 March 1899 By Act of Court Admon with power of sale granted to William Henry Paske of Cooma Carpenter the only surviving child of deceased.